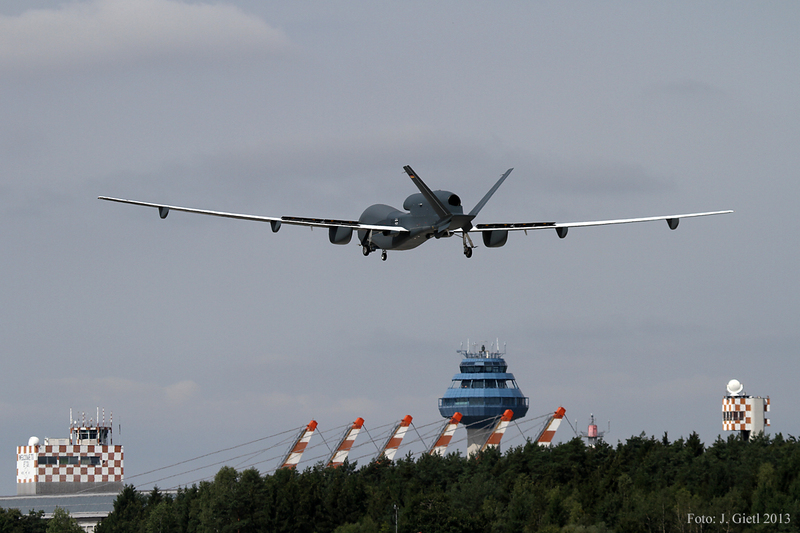 MANCHING, Germany – Sept. 3, 2013 – The EURO HAWK® unmanned aircraft system (UAS) set an endurance record Aug. 8 when it flew continuously for 25.3 hours in European airspace. Built by Northrop Grumman Corporation (NYSE:NOC), operating through its subsidiary Northrop Grumman ISS International Inc. (NGISSI), and Cassidian (EADS Deutschland GmbH), the UAS climbed to 58,600 feet over Manching Air Base, Germany. With a wingspan greater than most commercial airliners, EURO HAWK® can fly at altitudes more than 60,000 feet for more than 30 hours. It can detect radar and communication emitters with its advanced signals intelligence sensors and updated payload software. "This is the longest flight flown in European skies by an unrefuelled UAS in the more than 30,000-pound [14,600-kilogramme] class," said Rolf Wirtz, head of Mission Systems, Cassidian's UAS branch. "The EURO HAWK® has performed safely and reliably with good results throughout its entire flight test programme. It is the only system that can meet Germany's requirement for high-altitude signals intelligence surveillance missions." 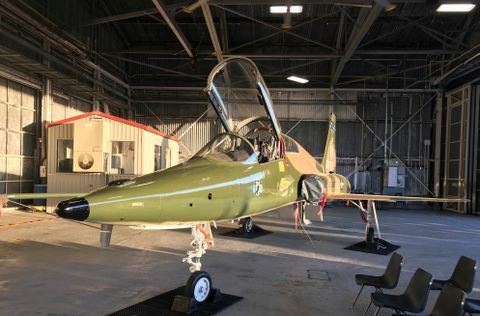 On June 6, the EURO HAWK® flew over the North Sea for the first time, soaring throughout Germany before returning 6.5 hours later to Manching Air Base. "To date, the EURO HAWK® has completed 19 flights and approximately 200 flight hours," said Janis Pamiljans, sector vice president and general manager of Unmanned Systems for Northrop Grumman's Aerospace Systems sector. "I commend the entire EURO HAWK® customer and industry team on achieving this record-breaking flight. We remain committed to delivering the best technology solution at the most affordable cost to meet Germany's national security interests." EURO HAWK® is an interoperable, modular and cost-effective replacement to the retired fleet of manned Breguet Atlantic aircraft, which was in service from 1972-2010. 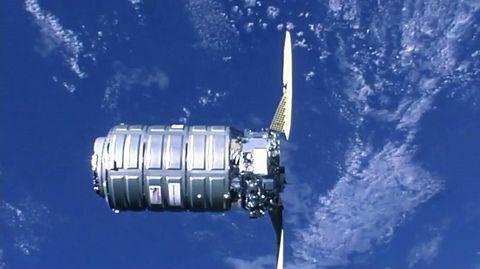 The flight test phase is currently scheduled through September 2013. EuroHawk GmbH, a 50-50 joint venture of Northrop Grumman and Cassidian, serves as the national prime contractor for the German Ministry of Defence through the system's entire life cycle. Please visit www.eurohawk.de for more information.